A new era of Husker football begins under the lights. The season-opener against Akron on Sept. 1 will be televised on FOX in the network's primetime 7 p.m. slot. 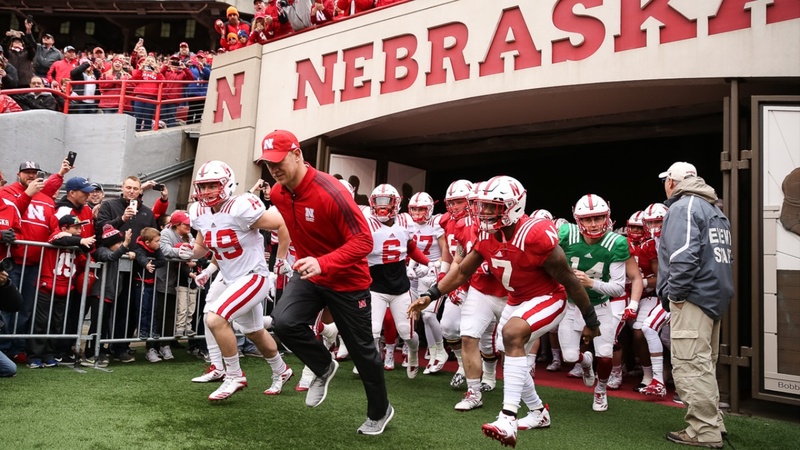 It'll be the first game for new head coach Scott Frost and though the Huskers have opened under the lights each of the last two years, it can't be a coincidence that this season's opener will be in front of a national audience. ESPN and FOX both announced partial broadcast schedules Thursday and that meant five other kick times for the 2018 Huskers were announced as well. Along with the opener, Nebraska will face off against old Big 12 rival Colorado on ABC at 2:30 p.m. CT. It's the first game on ABC for Nebraska since the 2016 season; they had none last year. Perhaps that has something to do with the fact the final 17 conference matchups (1994-2010) between two were televised by ABC. Week three begins at 11 a.m. on BTN against Troy, but don't expect a cupcake. Troy went 11-2 last season. As for the conference games, three times were announced (sort of) with the Black Friday game against Iowa on Nov. 23 being set for an 11 a.m. kickoff on FOX. The two played on FS1 last season. The Huskers will play Purdue at either 2:30 or 3:30 p.m. CT and Northwestern at 11 a.m. Neither game has a network designation yet. For all of last season, the Huskers were confined to FS1 or BTN viewing. Only the Oregon game on Sept. 9 landed on a national station. They already have three with half the schedule left to unveil. Call it the Frost Effect.